Hello and good morning! 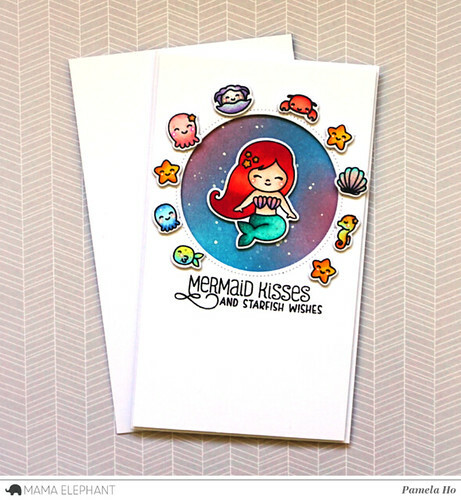 This is Pamela taking over Mama Elephant's blog with a simple card featuring Mermaid Kisses. 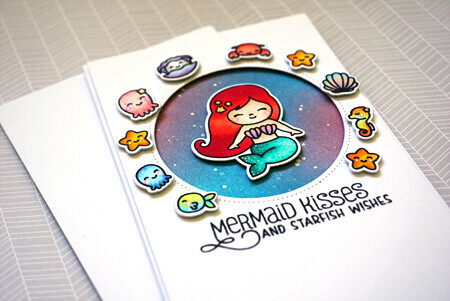 First thing, I stamped, die cut and coloured out a mermaid as well as those adorable little fish, stars, pearls and crabs. 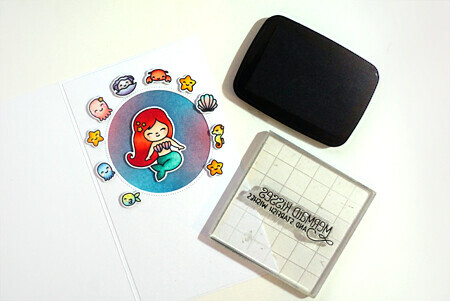 I'm using the long card format again (3.5in x 6in) with a circle cut out using Sew Fancy. I blended a mixture of purple, blue and teal onto the cardbase behind the circle. I finished off by stamping the sentiment underneath the circle and adhered each little element around the faux-stitched circle. 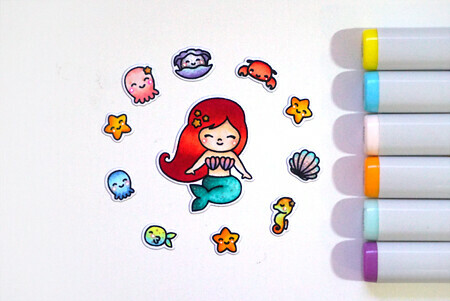 Did anyone else coloured their mermaid like Ariel unintentionally? oh this is so cute. Darling images and great layout. Love the sentiment. So cute. Wow ! Astonishing card ! !